Give a man a fish, he eats for a day. Teach a man to fish, he eats for life. 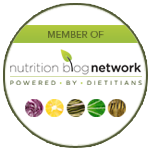 While my role as a dietitian is to help you create meal plans, it is a much needed life skill that, once developed, will help improve your overall health for the long run. Daily meal decisions may be based on a number of factors including “what’s in the fridge?”, “where’s the closest and quickest restaurant?”, or “what am I craving?” Spontaneous and/or reactive eating styles often lead to poor food choices throughout the day. Adding thoughtful meal planning into your lifestyle will establish a habit of eating a nourishing, well-balanced, and delicious diet full of vegetables, fruits, whole grains, legumes, nuts, seeds, dairy, healthy fats and lean protein. It’s not too challenging to create a weekly meal plan – it just takes a little thought and preparation! Start out by making a weekly calendar, Sunday through Saturday, in a Word document with spaces to write in breakfast, lunch, dinner and snacks for each day. Now you have the blank canvas to create your meal planning masterpiece! Next, look down your “lunch” row for each day of the week. Lunch is the perfect opportunity to eat a large salad loaded with nutrients! A salad does not just have to be lettuce, cucumbers, and tomatoes, but can be something exciting and flavorful. The key here is to aim for a vegetable-based lunch. Add avocado and raw, unsalted nuts and seeds for healthy, satisfying fats. Then, add a protein such as hard-boiled eggs, beans, quinoa, tuna, salmon or chicken. For extra flavor, add minced garlic, a squeeze of fresh lemon, or dried/fresh fruit. Avoid high fat/sodium additions such as croutons, bacon bits or excessive amounts of salad dressing (1-2 tablespoons is typically one serving). A well-balanced salad can stabilize blood sugar fluctuations and keep you feeling energized during the mid-day hustle and bustle. Dinner is usually the most varied meal of the day. Even if you eat out at restaurants, you can still follow your meal plan. For instance, if you usually eat at least one dinner out per week, assign this day on your weekly plan. This tactic gives you the flexibility to enjoy local restaurants’ delicious offerings, but limits the frequency of eating out each week. Planning dinner at home is as simple as following the “plate method.” Basically, make half of your plate non-starchy vegetables (1 to 2 cups), a quarter of your plate protein (3 to 6 oz), and a quarter of your plate starch (1/3 to 1 cup). Examples of dinners following this method include 4oz grilled salmon with ½ cup wild rice and unlimited amounts of steamed broccoli or 3oz of chicken breast with 1 medium baked sweet potato and unlimited amounts of roasted asparagus. You get the idea…Limit proteins and starches and eat unlimited amounts of non-starchy vegetables. Creating the appropriate proportions of foods will help you to feel satisfied and provide a nutrient-dense meal. The “snack” row should be filled in after all of your meals are assigned. First, decide how many snacks to allot each day. Consider allowing yourself with an extra snack if you include exercise. A snack should typically be 100 to 300 calories, depending on your total energy needs and frequency of snacking throughout the day. Examples include 1/4 cup hummus with raw veggies, 4oz low fat cottage cheese with 1/2 cup sliced peaches, or even 2 pieces of dark chocolate with 6-8 walnut halves. Stick to the snacks assigned to your meal plan. Also, cut off snacking in the evening, at least two hours before bedtime. Remember, each day in the meal plan does not have to look different. Ue leftovers from Monday’s dinner for Tuesday’s lunch. Or, you can make a big batch of salad or soup and serve it up all week long. Try sticking to the meal plan for a few weeks at a time. Feel free to edit the meals and snacks on a monthly basis. Food choices for meals can be based on seasonality of produce or sale items in the store. A good way to stick to the meal plan is to translate the meals into a weekly grocery shopping list. Pick one day to do the shopping. That way, you have all of the necessary foods on hand and in stock for the week ahead. 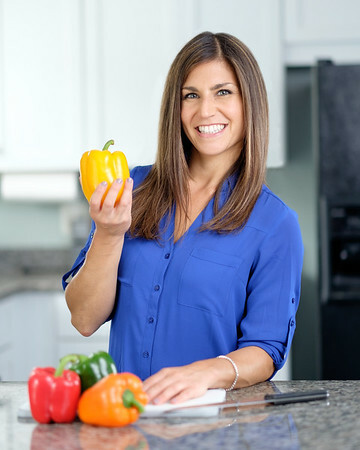 Lastly, if you experience difficulty putting together the meal plan or just need help coming up with great recipes or healthy products, consider scheduling an appointment with me. We will go over some of the specific challenges you face. That way we come up with a meal plan that suits your lifestyle.